Position to be filled in knowledge transfer and exchange and multimedia tools. We are looking for a person who will design and implement knowledge transfer and exchange strategies relying on multimedia tools, web platforms and face to face events. Responsibilities and requirements are described here (in French). 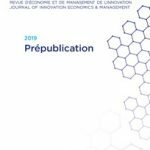 Just published — P. Lehoux, G. Daudelin, J.-L. Denis, P. Gauthier et N. Hagemeister wrote the article «Pourquoi et comment sont conçues des innovations responsables? 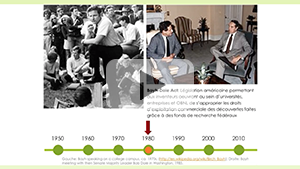 Résultats d’une méta-ethnographie» published in the journal Innovations. 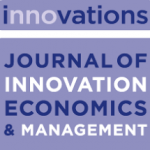 Journal of Innovation Economics & Management. Here is an overview of the enterprises located in Quebec, Ontario and the State of Sao Paulo that agreed to participate to our longitudinal case study. Discover their key characteristics in this infographics. Just published — P. Lehoux, F. Roncarolo, H. Silva, A. Boivin, J.-L. Denis and R. Hébert wrote the article «What health systems challenges should Responsible Innovation in Health address? Insights from an international scoping review» published in the International Journal of Health Policy and Management. Just published — H. P. Silva, P. Lehoux and N. Hagemeister wrote the article «Developing a tool to assess responsibility in health innovation: Results from an international delphi study» published in Health Policy and Technology. Just published — P. Lehoux, H. P. Silva, R. Pozelli and F. Roncarolo wrote the article «The unexplored contribution of Responsible Innovation in Health to Sustainable Development Goals» published in Sustainability. Just published – H.P. Silva. P. Lehoux, F.A. 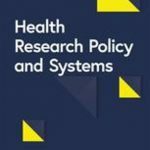 Miller and J.-L. Denis wrote the article “Introducing responsible innovation in health: a policy-oriented framework” published in Health Research Policy and Systems. 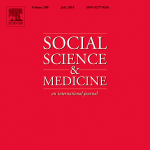 Just published – P. Lehoux and D. Grimard wrote the article “When robots care: Public deliberations on how technology and humans may support independent living for older adults” published in Social Science & Medicine. Just published – F. Roncarolo, A. Boivin, J.-L. Denis, R. Hébert and P. Lehoux wrote the article “What do we know about the needs and challenges of health systems? 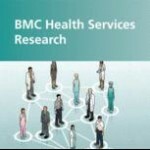 A scoping review of the international literature” published in BMC Health Services Research. Just published – P. Lehoux, F.A. 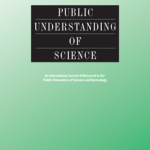 Miller, D. Grimard and P. Gauthier wrote the article « Anticipating health innovations in 2030–2040: Where does responsibility lie for the publics? » published in Public Understanding of Science. Just published – P. Lehoux, G. Daudelin, J.-L. Denis and F.A. Miller wrote “A Concurrent Analysis of Three Institutions that Transform Health Technology-Based Ventures: Economic Policy, Capital Investment, and Market Approval”» published in Review of Policy Research. 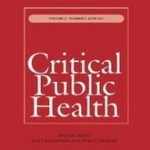 Recently Published – P. Lehoux, B. Williams-Jones, D. Grimard and S. Proulx wrote the article “Technologies of the self in public health: insights from public deliberations on cognitive and behavioural enhancement” published by Critical Public Health. 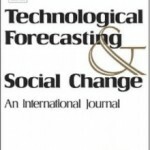 Just Published – Pascale Lehoux, Fiona Miller and Geneviève Daudelin wrote the article “Converting clinical risks into economic value: The role of expectations and institutions in health technology development” published by Technological Forecasting and Social Change. 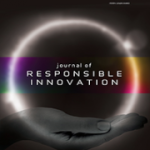 Just Published – Olivier Demers-Payette, Pascale Lehoux and Geneviève Daudelin wrote the article “Responsible research and innovation: a productive model for the future of medical innovation” published by the Journal of Responsible Innovation. Just Published – Pascale Lehoux et al. 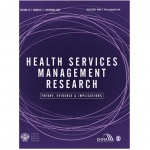 wrote the article “Medical innovation and the sustainability of health systems: A historical perspective on technological change in health” published by Health Services Management Research. Just Published – Pascale Lehoux et al. 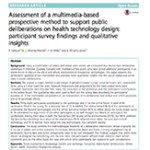 wrote the article “Assessment of a multimedia-based prospective method to support public deliberations on health technology design: participants survey findings and qualitative insights” published by BMC Health Services Research. Just published – Pascale Lehoux and Geneviève Daudelin wrote “Le développement des innovations – une place à occuper par les acteurs de la santé” published in the latest issue of Le point en santé et services sociaux (french content). 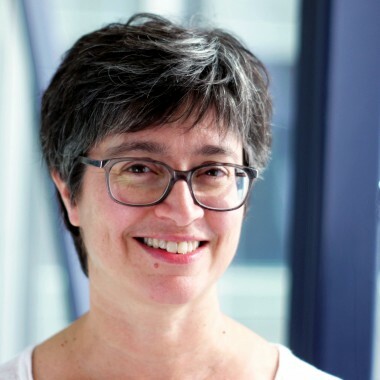 Researcher at IRSPUM and Professor for the the Department of Health Administration at University of Montreal’s Public Health School (ESPUM), Pascale Lehoux receives a 2,9 million dollar grant from the 2014 first pilot contest of the CIHR Foundation Scheme. Professor Lehoux believes that the direction taken by technological innovation in health depends largely on venture capital and speculative financial market rules. Those who develop innovations must target major markets like the US market, and demonstrate that their company can support rapid growth. We end up with very expensive technology that healthcare systems often struggle to integrate and that respond poorly to the most pressing health needs. The objective of her research program is to elucidate new ways to design, finance and manufacture innovations. These new ways of doing things emerge in different places in the world and have one thing in common: the desire to leave the limitations imposed by “Economic ROI above all” thinking. For the next seven years, this funding will allow Professor Lehoux, holder of University of Montreal’s Chair on responsible innovation in Health and founder of Hinnovic, an independent blog dedicated to the analysis of health innovations, to work on issues that have been dear to heart for a long time and that are really important, not only in terms of public health but also from the point of view of innovation support policies. She has assembled a team of international caliber to make giant leaps on what is responsible innovation in health and on ways to promote its development and sustainability in health care systems. The research team will examine in Quebec, Ontario, France and Brazil how financing strategies that simultaneously pursue economic and social performance (impact investing) allow companies based on social entrepreneurship to develop and deliver to the market socially responsible goods and services in such areas as adolescent health, chronic diseases and aging. The need for innovations that promote the involvement and empowerment of patients is large and it is fertile ground for rethinking the links between the economy and public health. For the latest news about our events, go to the Events section of our Hinnovic website. What do we know about the needs and challenges of health systems? 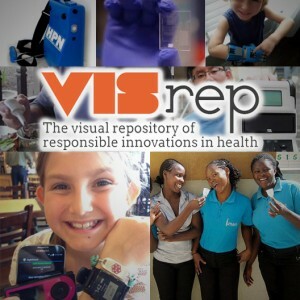 Why and how are responsible innovations that impact health conceived? 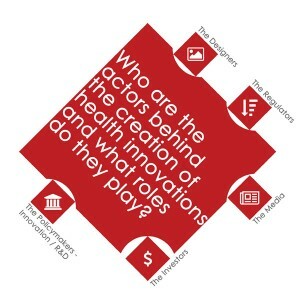 Who are the actors behind the creation of health innovation and what roles do they play? In fieri? “In fieri” refers to what is beginning to be, is in the process of accomplishment. 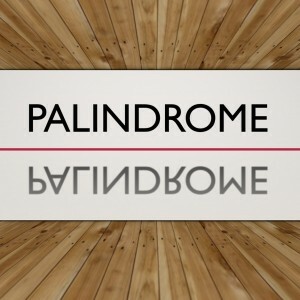 We fell for this latin expression since it captures the focus of our research: innovation. Responsible Innovation in Health is a phenomenon already in motion, aspiring to come fully into existence. Under the leadership of Pascale Lehoux, the goal of In fieri is to generate and share new knowledge on the design, financing and commercialization of Responsible Innovation in Health (RIH).This 7-year research program obtained funding through the highly competitive, newly established Foundation Scheme of the Canadian Institutes of Health Research. It offers precious opportunities for graduate students and postdoctoral trainees to engage in transdisciplinary research geared at solving healthcare system challenges. While many innovations have the potential to cater to the social determinants of health and to generate greater system-level benefits, established business models and financial dynamics limit their emergence. For instance, what business model should a venture that develops cyber-therapies for patients afflicted by mental illnesses adopt? Who is the key “client”? Who will pay for its use? And how can this venture prove economically viable and offer services to those who are in need? Scholars of responsible innovation recognize that entrepreneurs may deliberately design technological solutions of greater social value. When applied to medical technologies, it emphasizes the importance of user-centered design and of technologies that are ethically and socially responsive to the context of adoption. By doing so, it brings forward the system-level purposes of innovation (affordability, relevance, sustainability, equity, etc.). Our empirical research will focus on adolescent health, chronic care and ageing, which are areas where new technology-based products and services may enable self-care, increase patient autonomy and address system-level challenges. Comparative and longitudinal case studies of ventures located in Brazil, France, Quebec and Ontario will be conducted. Qu'y a-t-il à retenir du développement des technologies médicales depuis les années 1950? 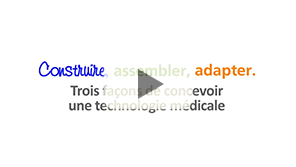 Construire, assembler, adapter. Trois façons de concevoir une technologie médicale. What makes the pursuit of health and wealth legitimate in academic spin-offs? Our international initiative catalyzes research at the interface of health services research, medicine, engineering, design, ethics, sociology, economics and public policy. 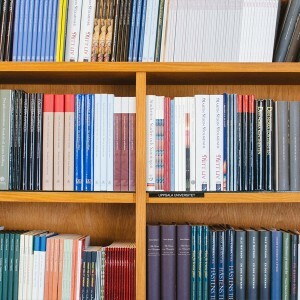 It is structured around three research streams. Scholarship on responsible innovation is growing rapidly, but there is a lack of research on the specificities of Responsible Innovation in Health (RIH) and on the organizational and financial strategies that can bring responsible innovations to the market. 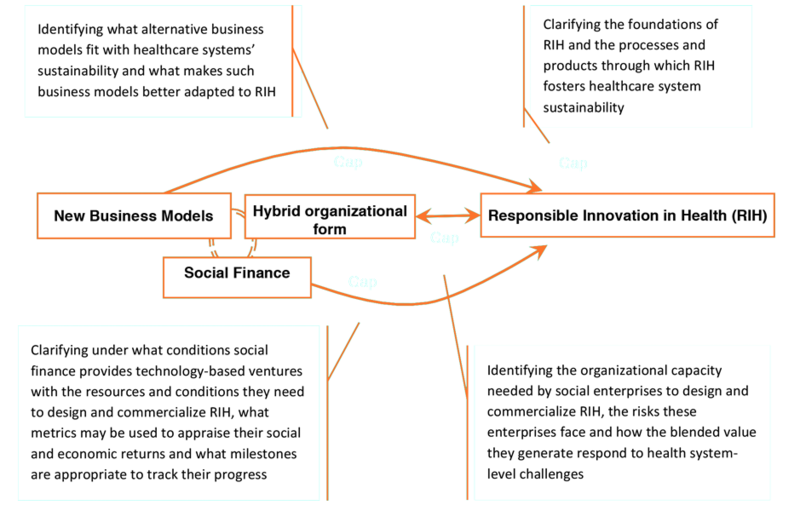 Current bodies of knowledge suggest that: 1) alternative business models; 2) hybrid organizational forms such as social enterprises; and 3) social finance could support the emergence, commercialization and institutionalization of RIH. 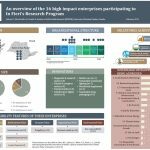 To examine how the design, financing and commercialization of RIH interface with existing policy mechanisms in the innovation pathway, including regulatory approval, health technology assessment, reimbursement and procurement. The common thread across these research streams is an emphasis on the creation of technologies that contribute to the common good healthcare systems embody. 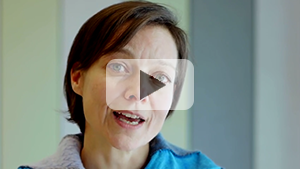 Pascale Lehoux is known for her ability to engage into path-breaking research. Her career has been shaped by industrial design, which fosters the creative envisioning and pragmatic appraisal of the way technologies fulfill “real world” user needs. Her work is motivated by the desire to improve our understanding and collective ability to govern technological change in health. Through her KT multimedia Lab, she has excelled in combining rigor and innovativeness in qualitative research. She created Hinnovic — a blog whose mission is to transform how innovation in health is envisaged— and has pioneered multimedia-based public engagement methods. This 7-year research program builds on her Canada Research Chair program (2005-2015), which clarified from a health policy standpoint the impact of business models, capital investment and economic policy on technology design processes in academic spin-offs. Our research team includes academics from Canada, the United States, France, the United Kingdom and Brazil and catalyzes research at the interface of health services research, medicine, engineering, design, ethics, sociology, economics and public policy. 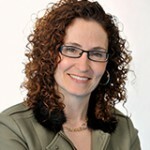 Catherine Beaudry (Polytechnique) is an economist and engineer and holds the Canada Research Chair on the Creation, Development and Commercialization of Innovation. Her research addresses innovation economics, the impact of innovation policies on scientific and technological performance, and the performance and survival of businesses. She brings expertise in partnerships and open innovation in high-tech industries. Antoine Boivin (Univ. 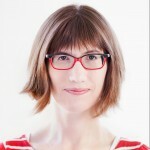 of Montreal) is a family physician and a CIHR clinician-scientist. His research focuses on patient involvement in primary care, chronic disease management, aging and end-of-life care. His policy-oriented research is geared at advancing the design of patient involvement interventions, evaluating its impact and supporting the implementation of sustainable partnerships in clinical settings. 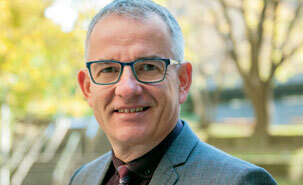 He is Co-Chair of the patient engagement strategy of the Quebec SUPPORT Unit. 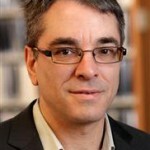 Jean-Louis Denis (ENAP) is an anthropologist and holds the Canada Research Chair in Governance and Transformation of Health Organizations and Systems. He has over 20 years of experience in health services and policy research. His research examines healthcare reforms, medical leadership and the role of scientific evidence in the implementation of clinical and managerial innovation. He is a member of the Royal Society of Canada and Fellow of the Canadian Academy of Health Sciences. Philippe Gauthier (Univ. 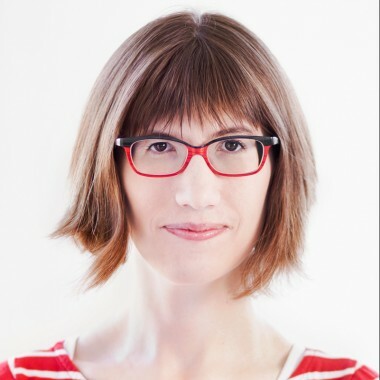 of Montreal) is an industrial designer and sociologist who cofounded the Design and Society research group. 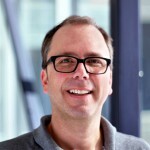 His research addresses the normative and regulatory requirements of user centered and participatory design strategies in product, service and policy development and the role of expert judgments in modern democracies. 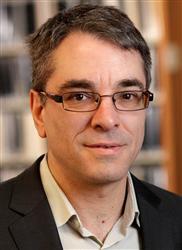 He recently examined citizen involvement in the redesign of public institutions in Montreal. 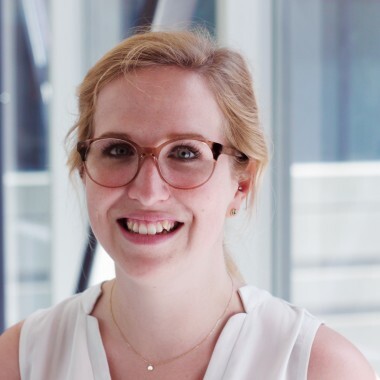 Nicola Hagemeister (ETS) is a biomedical engineer with an affiliation at the Department of Surgery at University of Montreal. 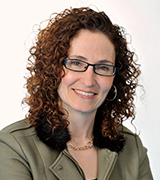 Her research at the Montreal University Teaching Hospital Research Center examines how a new technology (KneeKG™) may improve the surgical planning and care management of patients suffering from knee osteoarthritis. 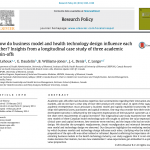 This research applies an early technology assessment framework to inform health policy. Réjean Hébert (Univ. 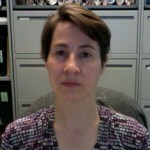 of Montreal) is a geriatrician and epidemiologist with a long career in health services research for frail older people. He was the Director of PRISMA, which designed and validated a new way of delivering integrated services for frail elderly. 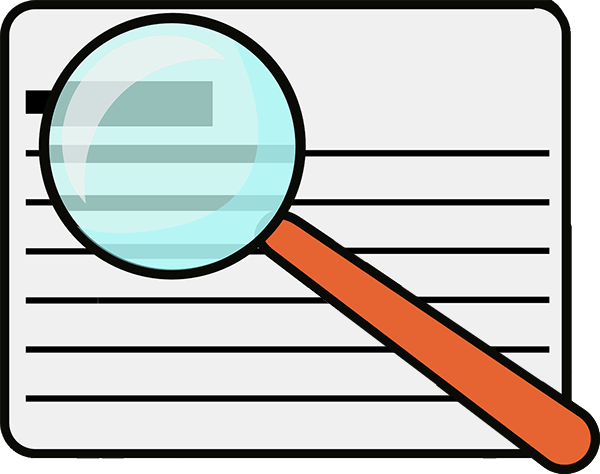 PRISMA was successfully implemented in Quebec and in other countries and won a CIHR KT Award. 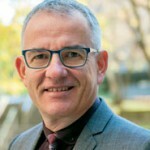 Hébert was Dean of the Faculty of Medicine of Sherbrooke University, the 1st Scientific Director of the CIHR Institute of Aging and recently Quebec Health Minister. He is a member of the Canadian Academy of Health Sciences and involved in the French “Silver Economy” initiative, which brings together technology developers, clinicians and entrepreneurs. William Lazonick Univ. of Massachusetts Lowell) is an economist who directs the Center for Industrial Competitiveness. 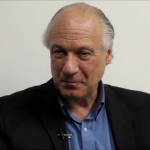 He is co-founder of the Academic-Industry Research Network and was Distinguished Researcher at INSEAD in France. 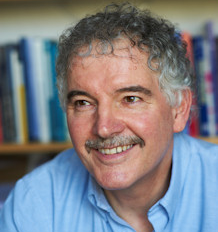 His research focuses on the social conditions of innovation and economic development in advanced and emerging economies. He was awarded the 2010 Schumpeter Book Prize and the H. Larson Award from Harvard Business School for best paper in Business History Review. His research “Financial Institutions for Innovation” is funded by the Ford Foundation and “Impatient Capital in High-Tech Industries” by the Institute for New Economic Thinking. Marguerite Mendell (Concordia Univ.) is an economist who co-founded the Karl Polanyi Institute of Political Economy. Her research addresses impact investing, social enterprise, community economic development and economic democracy. She was a member of the Advisory Group of the Global Task Force on Impact Investing, which will continue as a post-summit Canadian network of practitioners, researchers and policymakers. She is a member of the Chantier de l’économie sociale Board, a founding member of CAP Finance —a network of solidarity finance and development capital—, a member of the Scientific Advisory Group on Social Economy and Social Innovation of the Trento Center and of LEED-OECD-Paris. She received the Marie-Andrée Bertrand Prix du Québec and was appointed Officer of Ordre national du Québec. Fiona Miller (Univ. of Toronto) is a historian, a member of the Joint Centre for Bioethics and the Director of the Division of Health Policy and Ethics at the Toronto Health Economics and Technology Assessment Collaborative (THETA). Her research centres on health technology policy, including the dynamics of technology development, assessment and adoption within systems of health research and healthcare. 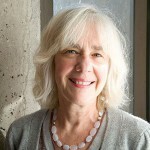 She brings expertise in health policy, science-based entrepreneurship and institutional theory. 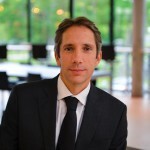 Xavier Pavie (ESSEC Business School) is a philosopher and management scholar. He has spent 15 years as Marketing Director in leading organizations. He is the Director of the Institute for Strategic Innovation & Services and Chairs the Imagination Week seminar for ESSEC’s 600 Master students. He leads the responsible innovation definition efforts of an international network of academic institutions supported by the European Commission. He is President of the “Innovation-Regulation-Governance” commission of the French National Agency for Research as part of Horizon 2020. Andrew Webster (York Univ., UK) is a sociologist and the Director of the Science and Technology Studies Unit and a Fellow of the Academy of Social Science. His research addresses funding models for regenerative medicine and responsible biobanking innovation. He serves on national policy committees including the UK Stem Cell Bank Steering Committee and the Regenerative Medicine Expert Group Sub-committee. 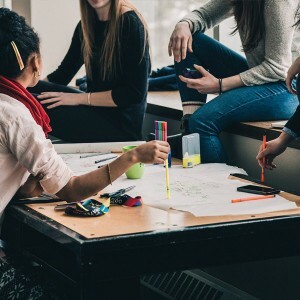 The Montreal research team has a strong command of complex qualitative research and developed a unique set of KTE skills, which include organizing workshops, scientific cafés and multimedia-based events. 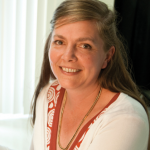 Lysanne holds a BA in Psychology from the University of Ottawa, an MA in Child Study from Concordia University and a PhD in Educational Studies from McGill University. Her multidisciplinary background has led her to conduct research and consultancy projects in education, international development, and mental health in Africa, in Asia, and in Canada. Health, well-being, gender equality, technology, and innovative practices that value and integrate participants’ knowledge and priorities are at the heart of her research interests. 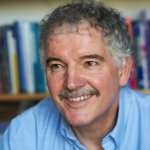 Hudson P. Silva is an economist and was Assistant Professor in Public Policy and Management at the State University of Campinas. His research activities are in public policy analysis, focusing on social protection, public health and health technology management. He holds practical experience as a technical advisor for the Brazilian Ministry of Health and the State Government of Sao Paulo. 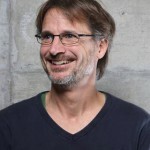 After receiving a diploma in mechanical engineering technology (Canada 1990), Patrick spent some time in the field of computer assisted design. But he quickly turned his attention to applied programming in mechanical engineering. It was in this field that he went on to become a programmer, analyst and teacher. He has practiced his profession in Sherbrooke (Quebec), Ottawa (Ontario) and, finally, Chattanooga (Tennessee). After a decade of focusing on programming, Patrick headed back to school for a somewhat radical change in direction – television production. 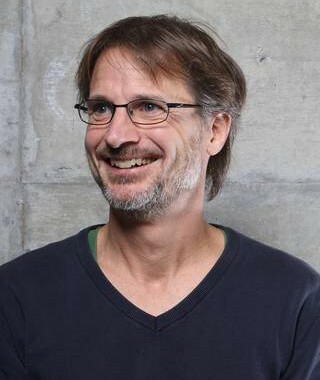 He then worked in post production (editing) for various television series broadcast throughout Quebec by Just for Laughs and the Canal Z and Canal D cable networks. His love for media production and his enduring interest in science lead him to join Pascale Lehoux and her team in 2007. 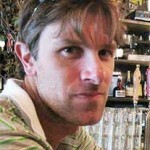 Jeremy specializes in ecology, environmental science as well as science communication. He holds a Bachelor of Science degree and is a candidate for the Master of Science in Environment at UQAM. In addition to 6 years of experience in the field of environment, he also volunteered as the coordinator of the Scientific Circle for the David Suzuki Foundation for four years. 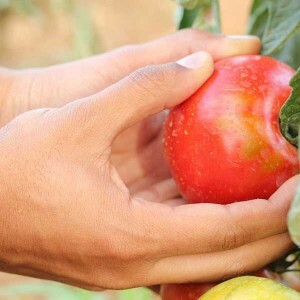 He is very interested in the Ecohealth approach which aims to integrate the fields of health and environment and promotes an interdisciplinarity approach to research. Blogger for the Agence Science-Presse for 4 years and a big user of social networks, he believes in the potential of the latter to communicate science to a wider audience. After obtaining her B.A. in social work at the University of Quebec at Montreal (Canada 1986) and working as a community activist for several years, Geneviève decided to continue her studies at the University of Montreal, where she earned a M.A. and a Ph.D. in sociology. 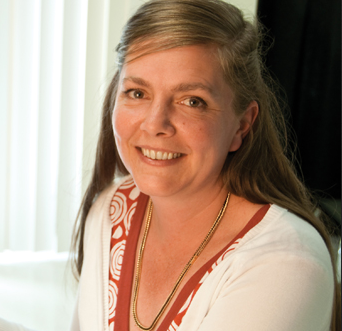 Her Ph.D. thesis (Canada 1998) combined her interest in the social introduction of new procreation technologies with her interest in lay knowledge and action. Her work showed that: 1) lay knowledge of procreation technologies is complex and diverse; 2) the foundation of this lay knowledge is similar to that which structures scientific knowledge; and 3) procreation is often “renaturalized,” even modified, by women using these technologies. 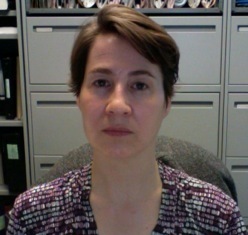 In 2002, Geneviève joined Pascale Lehoux at the GRIS (Interdisciplinary Health Research Group) as a research assistant. Health technologies and lay knowledge continue to be major themes in her research activities. 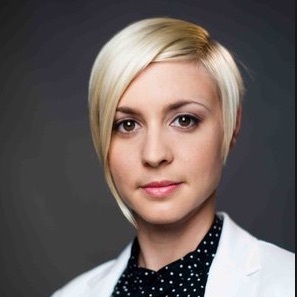 With an undergraduate degree in Communication, rédaction et multimédia from Université de Sherbrooke and a graduate degree in Communication sciences at Université de Montréal, Frédérique has been working for over 10 years in health research as well as the arts. Professionnally versatile and with an inquisitive mind, she is well versed in project management, web design, postsecondary teaching, social media management, knowledge transfer events organisation and scientific communication. Her artistic activities includes writing and directing a few theater plays and writing her first book of poems, published at Le Sabord. With a knack for words and a passion for health innovation, she joins the In Fieri team in 2017 as Scientific Editor and Coordinator of the new Palindrome magazine. 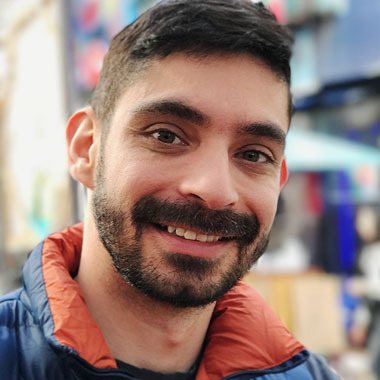 Trained as a medical specialist, Federico completed his postdoctoral studies in health promotion at the University of Montreal. 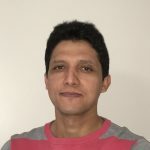 He contributed to the work of the In Fieri team as the project lead for the scoping review on the needs and challenges of health systems, a secondary research project within Stream A (The design of RIH). This research program offers precious opportunities to engage in transdisciplinary research geared at solving healthcare system challenges. 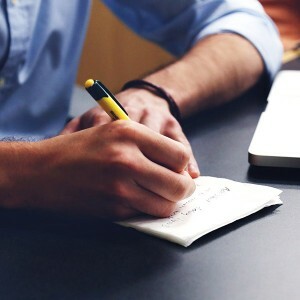 Our training philosophy is to foster as much as possible students’ and trainees’ intellectual autonomy, helping them to articulate their own research proposal within our research streams. We are currently recruiting brilliant, audacious and determined graduate students and postdoctoral trainees from Canada, the USA, Europe and emerging economies with expertise in public health, medicine, engineering, design, ethics, sociology, economics and public policy. Graduate-level training is enabled through existing Master’s and PhD programs in Montreal, Toronto, Paris, York, Boston and Sao Paulo. We excel in creating convivial, lively and creative spaces for trainees and mentors to share tools, resources and key “learning” events (defence rehearsal, draft paper critique, lunch with international guests, etc.). 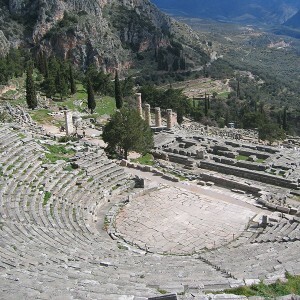 Training activities are supported by our KT Lab, relying on a mix of face-to-face venues and online tools. Competencies to be developed include “grant-manship”, scientific writing, knowledge syntheses, effective oral communication and new KTE media (e.g., “pecha-kucha,” video scripting, blogging). Hassane holds a Bachelor’s Degree in Biology (Major Biomedical) from the Sorbonne University (Paris VI, France). 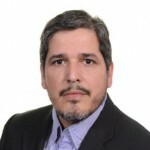 He holds a Master’s Degree in Public Health and Biomedical Informatics from the Faculty of Medicine of Rennes (France) as well as a Master’s Degree in Administration of Public Health Policies and Programs from EHESP/Science-Po Rennes. He completed a Ph.D. with a major in Health Services Organization at Laval University (Quebec, Canada). As a fellow of the “Health System Impact Fellowship” program (CIHR/FRQ-S/INESSS), he is currently pursuing postdoctoral studies at the “Institut national d’excellence en santé et services sociaux” (under the supervision of Dr Michèle de Guise) and at the University of Montreal (under the supervision of Prof. Pascale Lehoux). His research focuses on the challenges raised by the integration of innovative technologies into health systems. 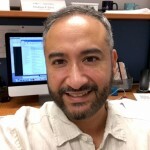 Jaime Jiménez Pernett is preparing a doctoral thesis at the School of Public Health at the University of Montreal (ESPUM) concerning public deliberation processes in health systems. Holding a master degree in applied economics, he worked since 2006 as a teaching and research assistant at the Andalusian School of Public Health (EASP) in Spain. His main areas of interest are the influence of information and communication technologies on health systems and the role of networks on public health knowledge transfer and exchange. After completing a bachelor’s degree in biomedical sciences, Andrée-Anne chose to pursue a master’s degree in public health at the University of Montreal. During 2016 and 2017, she contributed to the work of the In Fieri team as a research trainee. She documented a large number of potentially responsible innovations and contributed to the development of our web directory that will support primary research within our research Stream A (The design of RIH). Robson Rocha is an M.D. specialized in public health and health services management. 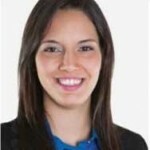 He has practical experience in the Brazilian health system (public and private sector). He has been Assistant Professor of Public Health and Director of the Medicine Program at Anhembi Morumbi University (Laureate International Universities). 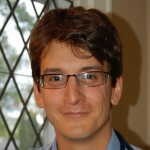 His research interests are related to the analysis of health innovation systems and the analysis of social networks. This 7-year research program will clarify the mechanisms by which a different technology creation paradigm can contribute to healthcare sustainability, address the needs of a growing elderly population, support patients who are afflicted by chronic diseases and reduce health disparities through affordable and user-friendly innovations. 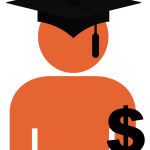 Scholarship in this area is warranted when one considers the capital-intensive nature of R&D and how high-tech services make “choosing wisely” [hyperlien section Canadienne] steadily more difficult. Our findings will prove of strategic importance to health and innovation policymakers, entrepreneurs and investors. It can profoundly benefit patients and healthcare providers because it will evidence alternative ways of designing, financing and commercializing technologies. 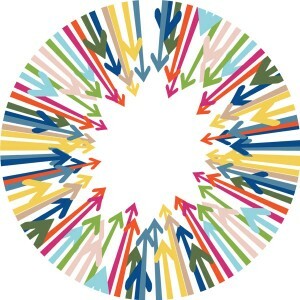 To generate an empirically-grounded model of why and how responsible innovations are produced, this paper provides a synthesis of 17 qualitative studies describing the development of responsible innovations that have an incidence on the determinants of health. Lehoux, P., Daudelin, G., Denis, J.-L., Gauthier, P., Hagemeister, N. (2019). Pourquoi et comment sont conçues des innovations responsables ? Résultats d’une méta-ethnographie. Revue d’économie et de management de l’innovation. To identify the challenges that responsible innovation in health should seek to address, this papers presents the findings of a synthesis of 254 articles that examined the challenges of health systems in 99 countries. Lehoux, P., Roncarolo, F., Silva, H.P., Boivin, A., Denis, J.-L., Hébert, R. (2019). What health system challenges should responsible innovation in health address? Insights from an international scoping review. 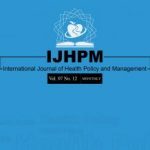 International Journal of Health Policy and Management. This paper shows how an international panel of experts contributed to the development of a Responsible Innovation in Health (RIH) screening and assessment Tool. Silva, H. P., Lehoux, P., & Hagemeister, N. (2018). Developing a tool to assess responsibility in health innovation: Results from an international delphi study. 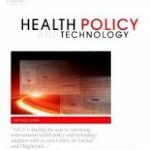 Health Policy and Technology.https://doi.org/10.1016/j.hlpt.2018.10.007. With the help of empirical examples, this paper explores the relationships Responsible Innovation in Health (RIH) may entertain with the Sustainable Development Goals (SDG). Lehoux, P., Pacifico Silva, H., Pozelli Sabio, R., & Roncarolo, F. (2018). The Unexplored Contribution of Responsible Innovation in Health to Sustainable Development Goals. Sustainability, 10(11), 4015. https://doi.org/10.3390/su10114015. This article introduces an integrative RIH framework drawing on the RRI literature, the international literature on health systems as well as specific bodies of knowledge that shed light on key dimensions of health innovations. Drawing on a prospective public deliberation study, this article offers sociological insights into the ways in which members of the public reason around assistive actions, be they performed by humans, machines or both. This article examines the rules that characterize economic policy, capital investment, and regulatory approval as well as the way these institutions enable and constrain the development of ventures at an early stage. This paper examines how members of the public define the legitimacy of cognitive and behavioural enhancement. Building on insights from sociology of expectations and institutions, this paper elicits how specific institutional requirements provide potency to the expectations that pave the health technology development pathway. 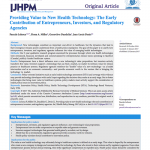 The goal of this paper is to clarify how entrepreneurs, investors, and regulatory agencies influence the value of emerging health technologies. This article seeks to deepen our understanding of the responsible research and innovation (RRI) approach as it relates to health care systems, where the notion of responsibility is already deeply embedded. This article aims to generate a better understanding of the historical Research & Development dynamics that have contributed to shape today’s medical innovation ecosystem. This article looks at a prospective method using multimedia material for public deliberations on health technology design. 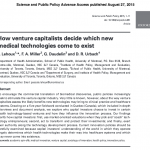 This paper brings forward why capital investors choose to invest in certain health technology-based ventures and not others, and how they influence the innovation process. This paper clarifies why technology developers are pushed to prioritize design features that expedite sales, often to the detriment of design features that would increase the clinical value of their technology. Lehoux et al. (2014). 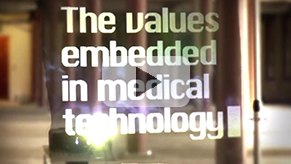 How do business models and health technology design influence each other? Insights from a longitudinal case study of three academic spin-offs. Research Policy. 43(6):1025-1038. This book explains how health technology is embedded in broader social and political practices that can be reshaped through appropriate policy initiatives. It was short-listed along 3 others for the 2007 Best Book Award of the British Sociology Association and Sociology of Health & Illness. Lehoux (2006). The problem of health technology. 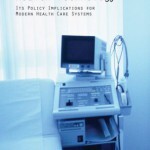 Policy implications for modern health care systems. New York: Routledge.